Satisfy legal requirements and avoid time-consuming detours. Completely wireless. Quick & easy install. Mounts in under 30 minutes. StrongWeigh employs an elegant and versatile design that suits nearly all axle types. 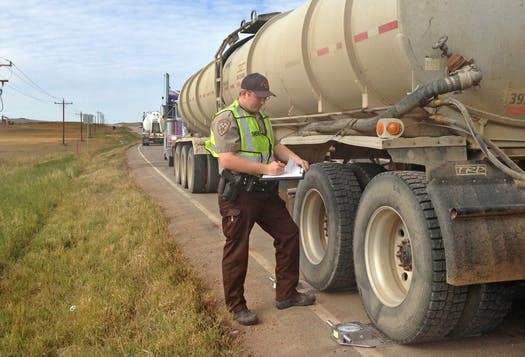 With an accurate onboard scale system – which weighs the whole truck, including the front steer axle – you can ensure the truck is always fully loaded to the maximum allowed weight, and your earnings are maximized every single trip, while also preventing the costly fines that could result from overloading. With Strong Weigh’s easy-to-install wireless sensors on every axle, you can see not only the truck’s gross weight, but the weight on each axle as well. This enables you to ensure the payload is properly balanced so that no axle or group of axles exceeds their legal weight limits. 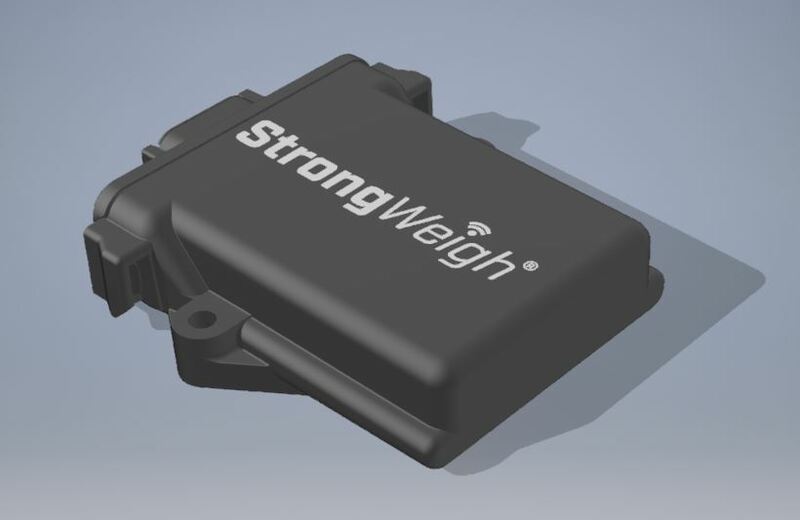 Strong Weigh includes the only scale system with truly wireless weight sensors for every type of axle and suspension, with replaceable batteries that last three years on average. Plus the Strong Weigh control box boosts the wireless signal strength, so that driver can always view the truck’s weight, without needing to exit the cab. While most other full-truck onboard scale systems can easily take 12 hours to install, with Strong Weigh installation is incredibly quick and easy: No tedious and time-consuming running of wires along the frame and down the axles, which are bound to get damaged later. 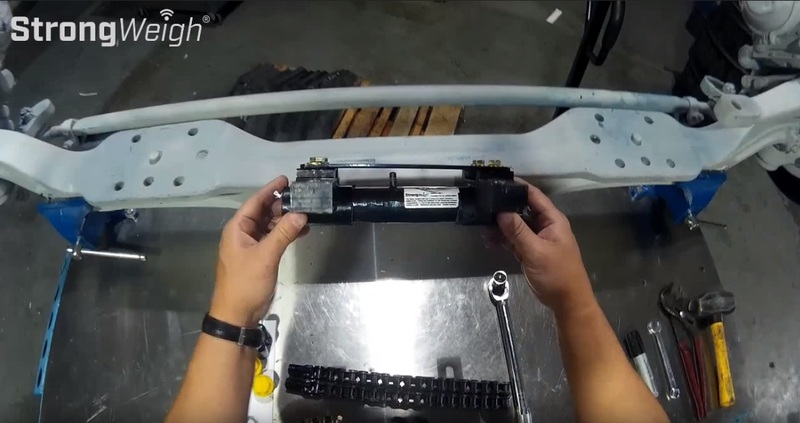 Simply install a wireless sensor on the front axle, and one or two wireless sensors on the rear axles, depending on the suspension type (Strong Weigh® works on all rear suspension types, including walking beam, leaf spring, and air ride). Then install the small control box near the cab, and you’re done – for most people, in less than 30 minutes. The components of Strongweigh can be linked together in many different ways. A different type of suspension merely needs a different configuration of Strongweigh parts. The most common suspension types can be found here, but even uncommon or unique suspension types can be dealt with by contacting us and explaining the particulars of your vehicle.